Well it was sunny when I left home! 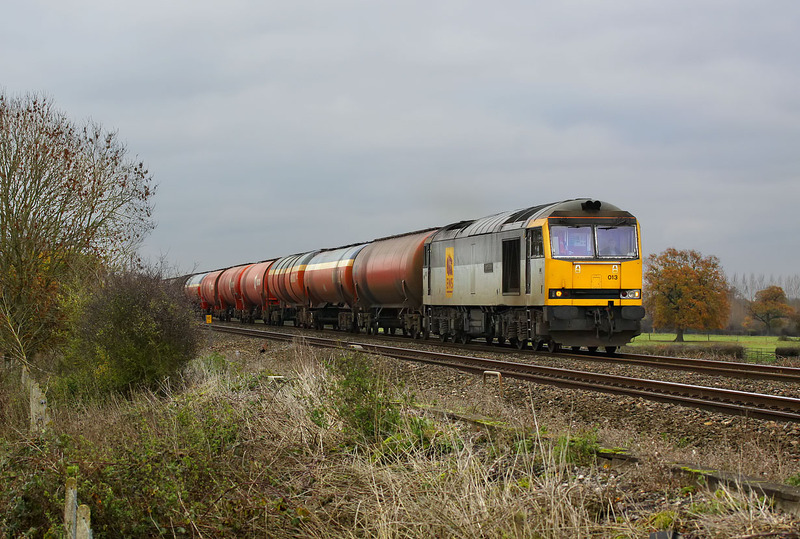 60013 Robert Boyle passes Baulking on 25 November 2010 with the 6B33 13:33 Theale to Robeston Murco oil empties. The cloud just filled in and got darker and by the time the train appeared it was really grim, but as I had trudged across a field to get to this spot, I thought I might as well take the picture. Note the two oak trees in the background, which even near the end of November are still largely covered in golden leaves.